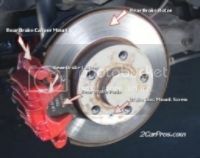 Brake Repair; for quiet & trouble free braking, we use high quality parts with next generation friction formulas. We can handle ALL brake related repairs, from simple brake jobs to advanced ABS diagnostics and Programming/ coding. We are trained to properly service your vehicle & unlike some shops we re-set all the related service indicators and warnings.